I don’t know if this is real Indian food, but it’s what was born one afternoon when I deboned two chickens so that I could make stock. 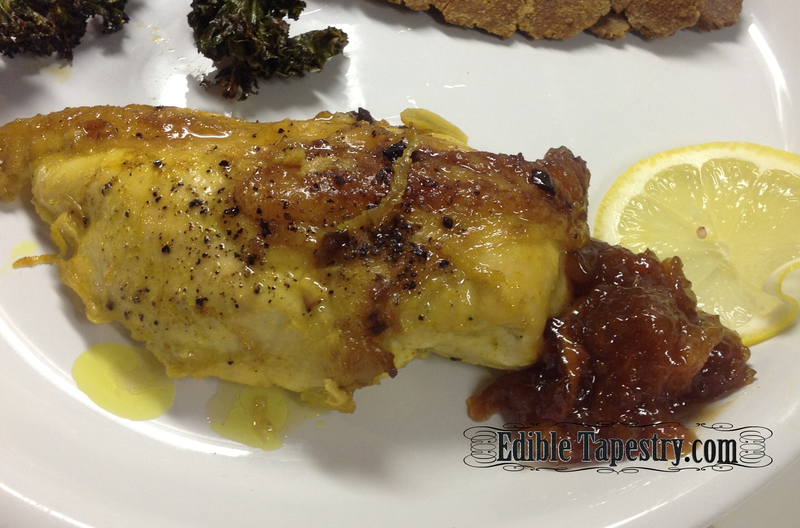 One chicken was stuffed with apples, honey, and raisins to make Apple Dumpling Chicken. 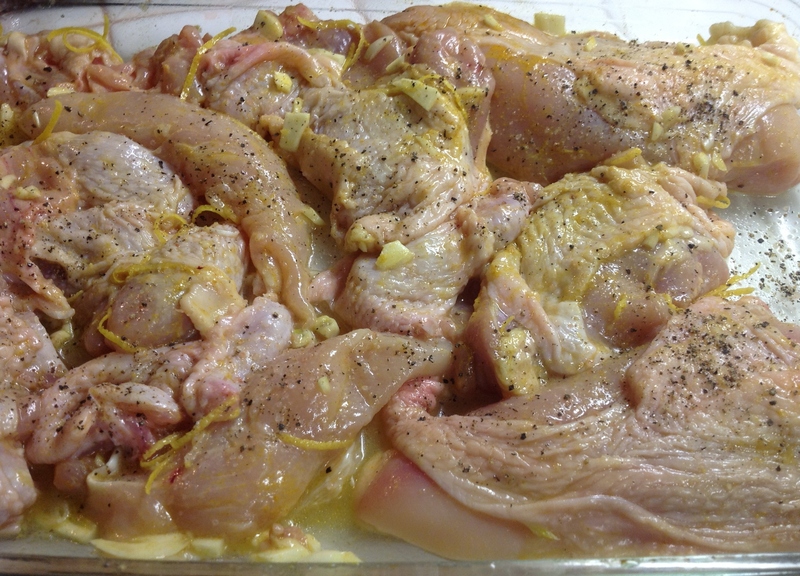 I found myself squeezing lemons and sprinkling turmeric over the boneless pieces of the second. My first experience with Indian food came about when my mother, sister, and I worked for an Indian family. They worked in the office and I, a teenager at the time, cleaned the family home. Mom worked in the evenings, and would come home with all sorts of interesting food samples. I was amazed to come out of the master bedroom of the Indian family’s home with my cleaning supplies, on one occasion, to find an enormous vat of oil set up under a huge turkey fryer sized gas burner, smack dab in the center of the galley kitchen floor. Several glistening dark haired women in colorful saris sat around the makeshift cooker. Now, this was in Central Florida in one of those generic, one-story cookie cutter homes in a subdivision. There was barely enough room for the cooker and the women in this kitchen, let alone for a person to pass carrying a broom, mop, and basket of cleaning supplies. Every time I inched my way by, very carefully with my excuse me, excuse mes, all the women would whoop and gasp with round eyes, certain that I was going to kick the contraption over, or bump it with my broom, and send us all to the next life in a fiery explosion that would be visible from the Mir Russian space station. I was nowhere near the burner or the women, none of us were in danger, but I was a little, freckled, natural born American, what did I know? But the things that came out of the oil that day! I can only assume they were different forms of samosas. All I knew at the time was that I had discovered that savory doughnuts filled with spicy goodness were just as pillowy and gratifying as sweet jelly or Bavarian cream filled, and didn’t hesitate to accept the morsels that were generously offered to me. And no wonder they needed a barrel of oil, they made basket after basket of fried foods that day, I assume for one of the Indian social functions they would frequently attend. I’m a big fan of chutneys, most likely due to my love of savory and sweet combinations. 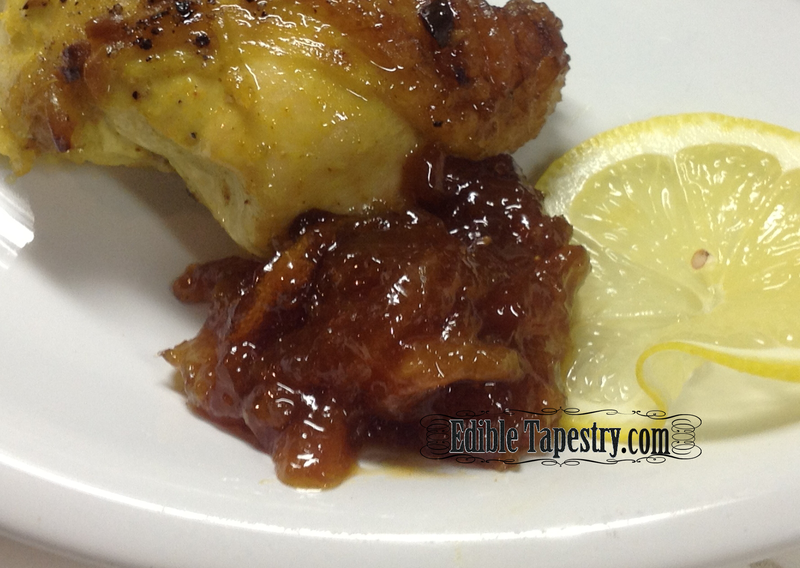 When I spied my marinating chicken in the fridge, I knew it needed a form of chutney to go with it. 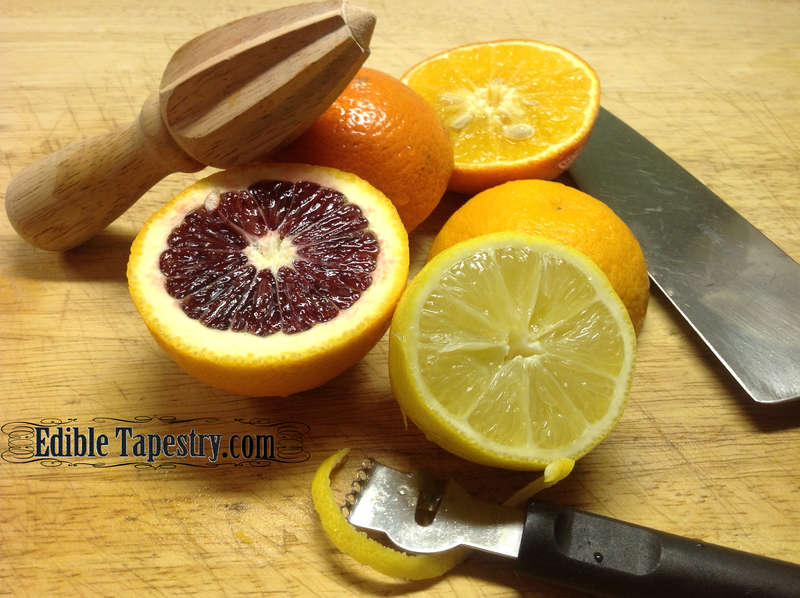 I pulled out lemons, navel oranges, and the last blood orange in the crisper to see what I could come up with. While the chutney bubbled, I attempted to make pappadums using only ground lentils and water. What a mess! I had to add so much garbanzo flour to my board to keep them from sticking as I rolled them into rounds that I may as well have just made them out of chickpeas. They were a huge flop, but I baked them and fried them ultra crisp, then left them in the center of the kitchen table for anyone who wanted to attempt to eat them. They were gone by the next day. My teen and preteen seldom get potato chips, (I know. I’m a terrible mother.) so were happy to have something chip-like to munch. 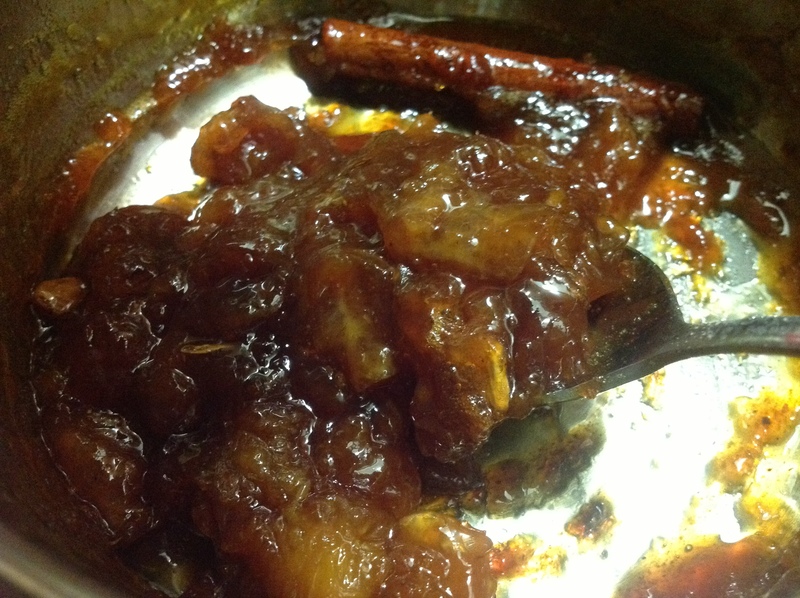 The chutney was easy to make. 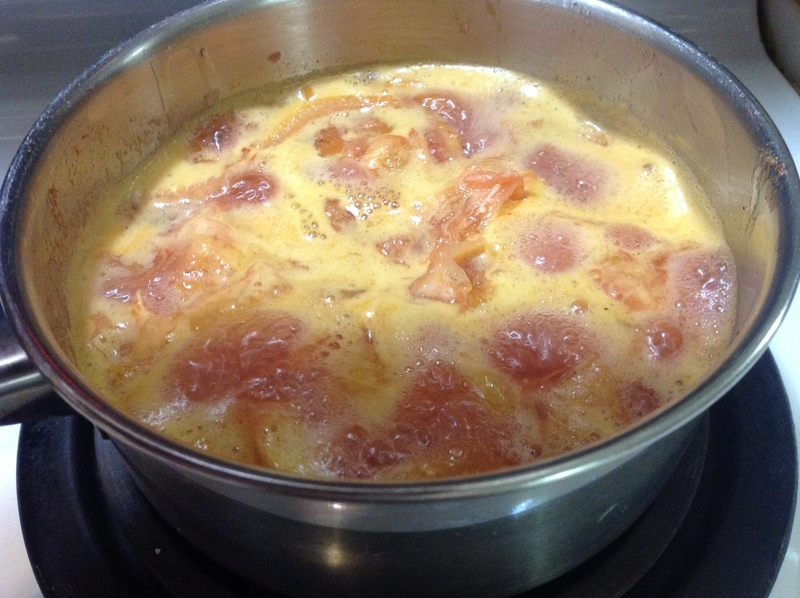 I just left it on the back burner over a low simmer until it turned into a wonderful golden jelly. And I really don’t think the chicken would have been to my liking without it. Such a nice departure from the boring GAPS meals we had been eating for weeks. 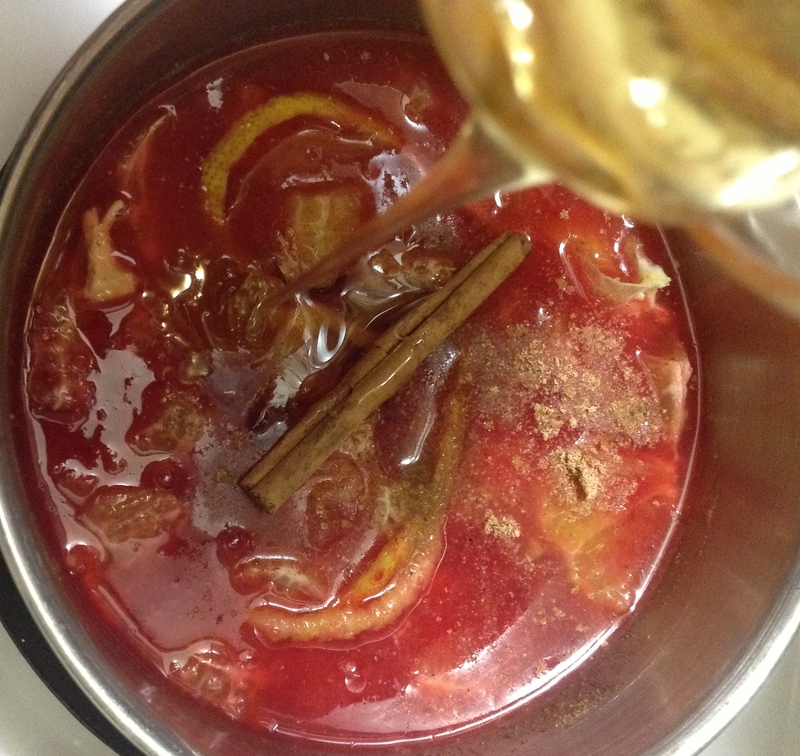 Combine all ingredients and marinate 2+ hours. I let it go overnight and cooked it the next afternoon. Grill or roast until thoroughly cooked. 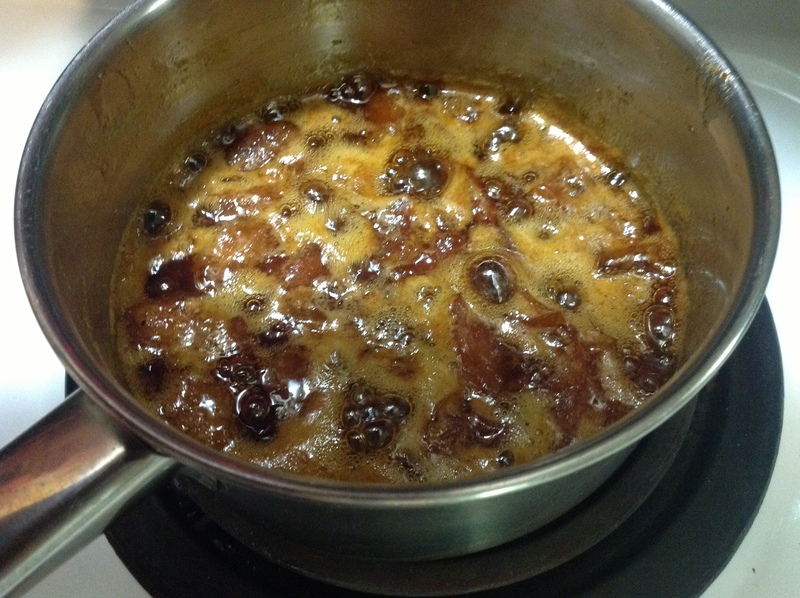 Simmer over low heat until thick and sticky, app. 2 hours. Less for a more liquid product. I checked it often but it didn’t even need stirring until the end, just sat and lightly bubbled. I served the chicken and chutney with roasted kale chips and the almost-too-hard to-chew pappadums that need another go in the test kitchen.